Bought this as a gift for my nephew and it will not disappoint! This book is big and bright and full of information. Perfect for my little dinosaur fan. 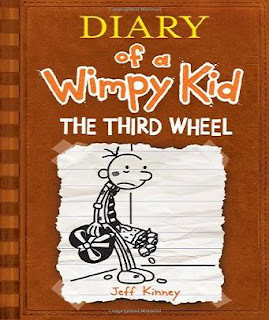 this book was ideal for my grandson, who is 3 years old. he knows now that all dinos are different and how to say their names. this book should carry him through his elementry years at school. The third title in National Geographic Little Kids First Big Book series, this book is for kids 4- to 8-years-old who LOVE dinos! 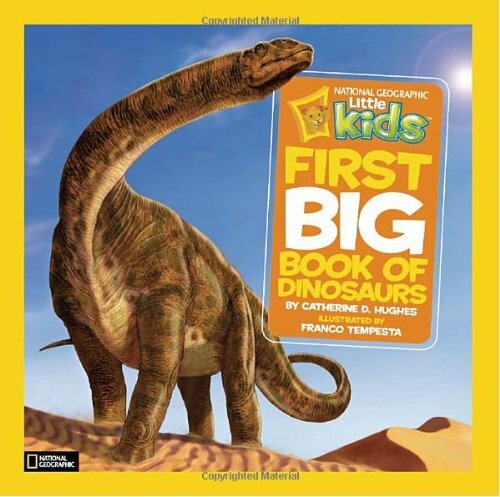 The prehistoric world comes alive with dinosaurs small, big, giant, and gigantic, with stunning illustrations by Franco Tempesta—who illustrated National Geographic Kids The Ultimate Dinopedia. Bursting with fun facts and age appropriate information, each spread features a different dinosaur, along with simple text in big type that is perfect for little kids. Young dino fans will love the interactivity included in every chapter, and parents will appreciate tips to help carry readers’ experience beyond the page. Linking to a popular feature in the super successful National Geographic Little Kids magazine, this book brings the browsable fun of the bestselling National Geographic Kids Almanac, to a new audience: preschoolers! 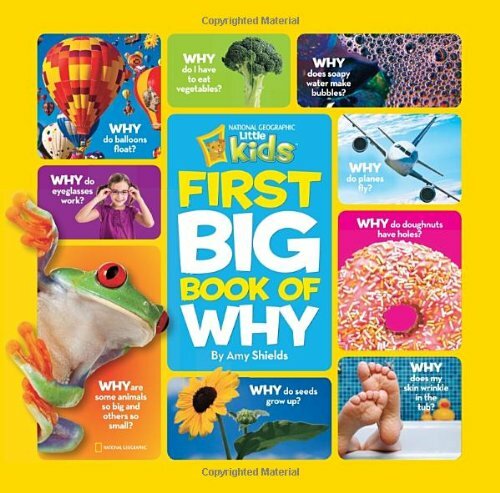 Using an interactive question-and-answer format and content grounded in a child's immediate world, the Big Book of Why delivers lively information, hands-on games, simple recipes, crafts, and more. What makes a car go? How does mushy dough become a crispy cookie? What does the doctor see in my throat? An essential parent reference, The Big Book of Why invites children to ask big questions, think big thoughts, and get answers that are accurate, engaging, level-appropriate, and based on sound educational findings. It helps prepare preschoolers for school in an interactive way—the very best way to foster learning at this age, according to research. Highly photographic and playful, this big book is an adventure in exploration. Science has never been so easy--or so much fun! 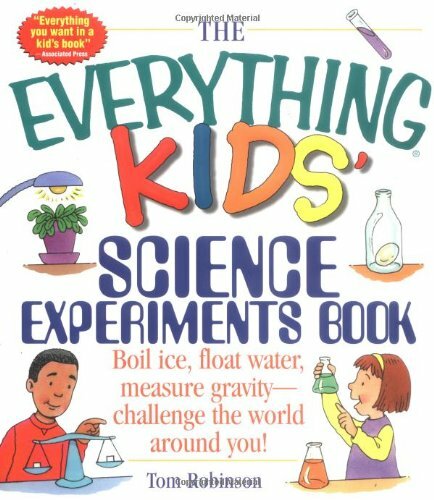 With The Everything Kids' Science Experiments Book, all you need to do is gather a few household items and you can recreate dozens of mind-blowing, kid-tested science experiments. High school science teacher Tom Robinson shows you how to expand your scientific horizons--from biology to chemistry to physics to outer space. Is it possible to blow up a balloon without actually blowing into it? Can a magnet ever be turned off"? Do toilets always flush in the same direction? Can a swimming pool be cleaned with just the breath of one person? You won't want to wait for a rainy day or your school's science fair to test these cool experiments for yourself!